I've been holding back this next entry in the EAGLE COLLECTION (a series of occasionally scheduled full-page pin-ups featuring assorted Eagle characters) specifically for Halloween. 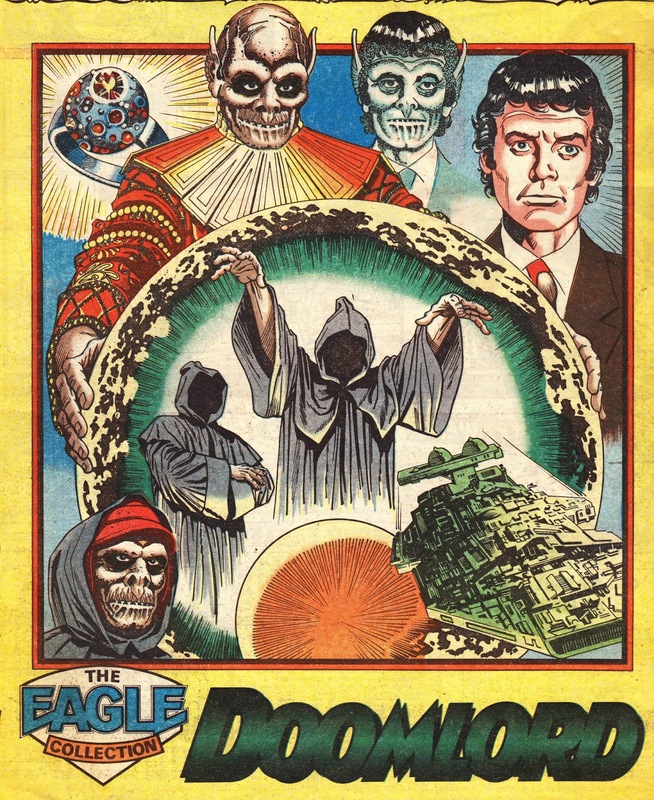 This DOOMLORD piece appeared in the issue dated 25 February 1984. A reminder that I've previously posted photographic evidence of DL's entire first attempt to bump off humanity on STARLOGGED, starting way back here. Safely downloaded and I'll resume my EAGLE COVER GALLERY in the near future. Thanks again for taking the time to do that - it's very appreciated!